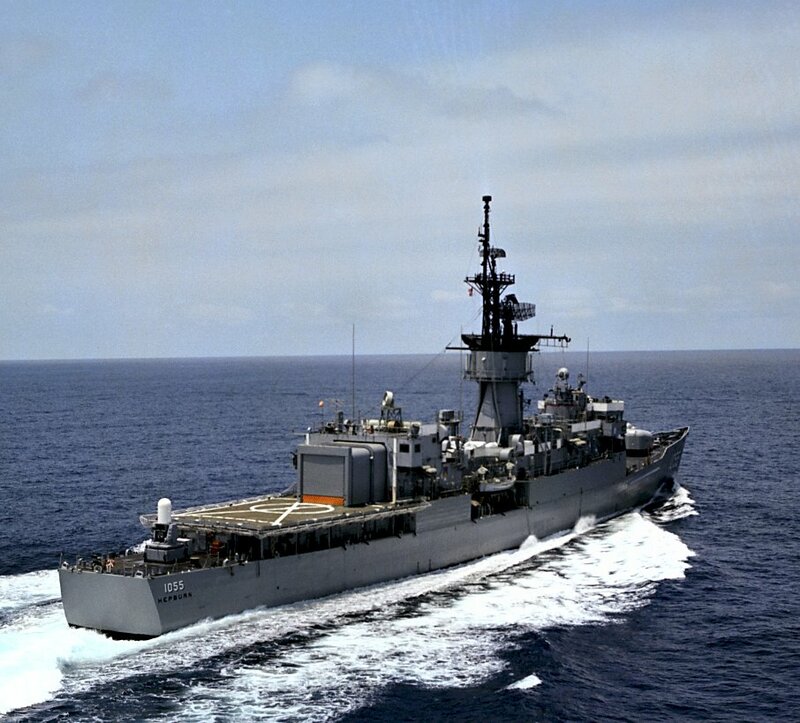 Tactical Voice Radio Call: "Indian Valley"
01 June 1966: Keel laid at the Todd Shipbuilding Corp., San Pedro, Cal. 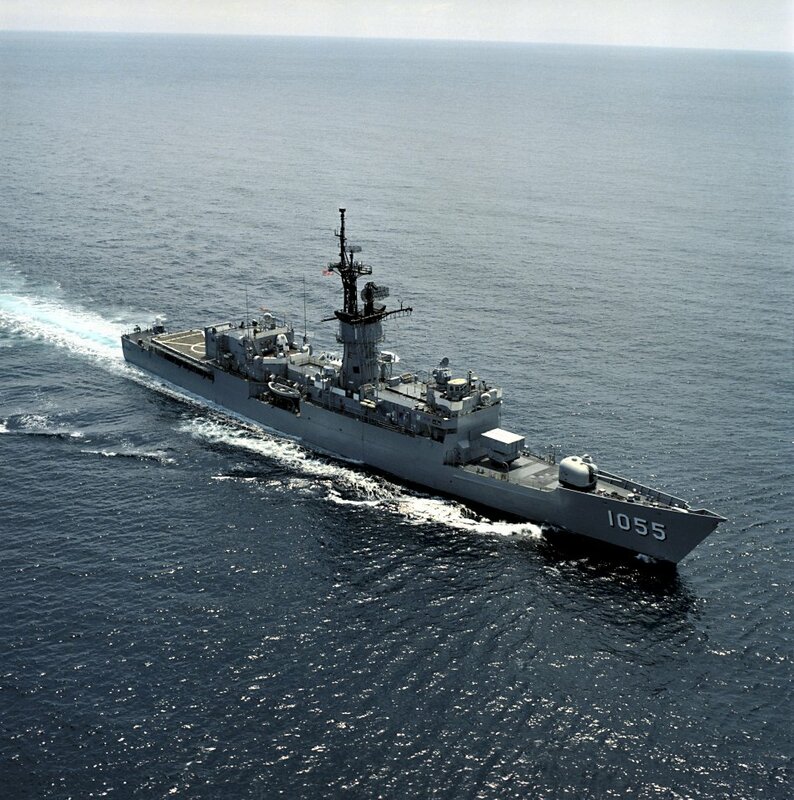 01 October 1989: Assigned to Naval Reserve Force, Pacific, at San Diego, Cal. 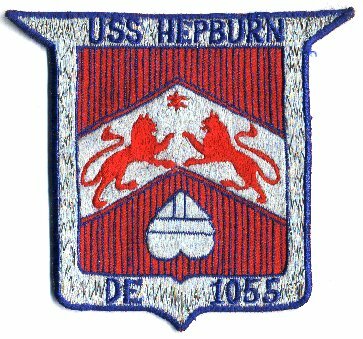 86k Arthur Japy Hepburn was born 15 October 1877 in Carlisle, Pa. and graduated from the Naval Academy on 5 June 1897. 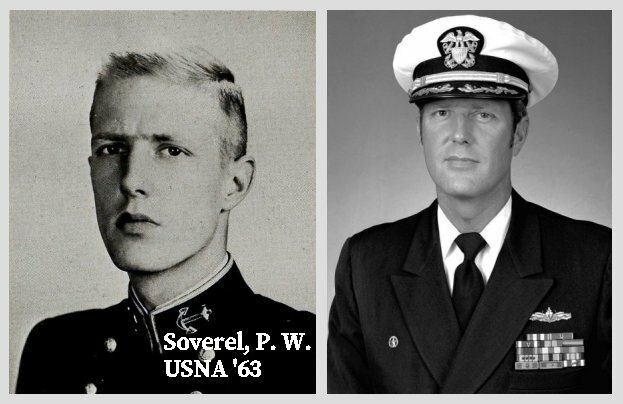 During the Spanish-American War he served as Passed Midshipman in battleship Iowa, and he participated in the defeat of Admiral Cervera's Spanish Squadron off Santiago, Cuba, 3 July 1898. Commissioned Ensign 1 July 1899, during the next two decades he assisted in making oceanic surveys in the Pacific and performed a variety of duties ashore and afloat, including service in Georgia, Olympia, and South Carolina. During World War I he commanded the seized German liner Kaiser Wilhelm II and the Submarine Chaser Base, New London, Conn., until ordered to Europe in July 1918 to command the subchaser base at Queenstown, Ireland. After the armistice, he served in Chester, inspecting German naval ships and aircraft in accordance with naval terms of the Armistice. From 1919 to 1922 he was Assistant Chief of the Bureau of Steam Engineering, and from 1922 to 1924 he served as Chief of Staff of the U.S. 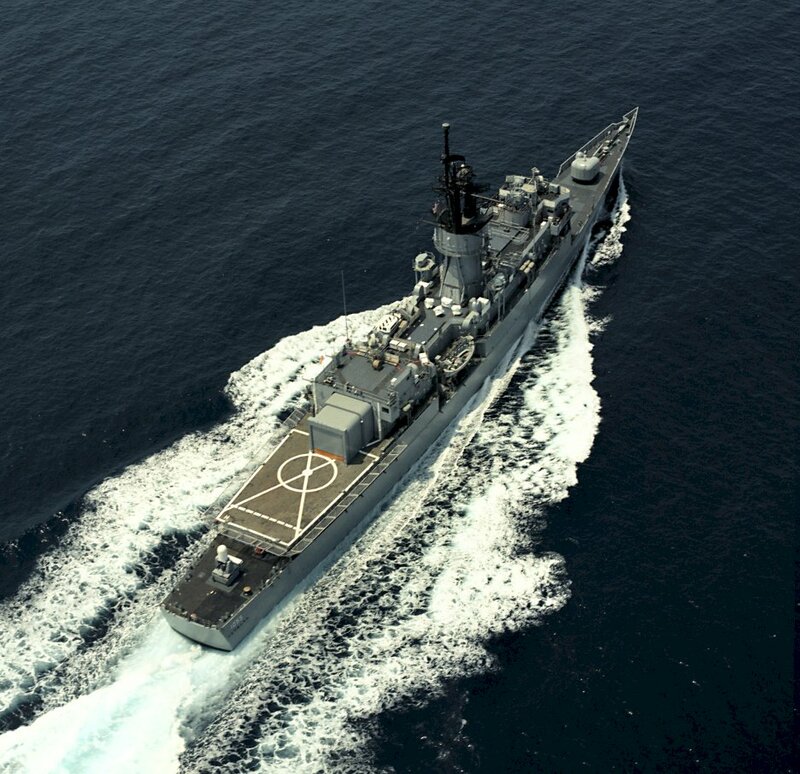 Naval Detachment in Turkish Waters. 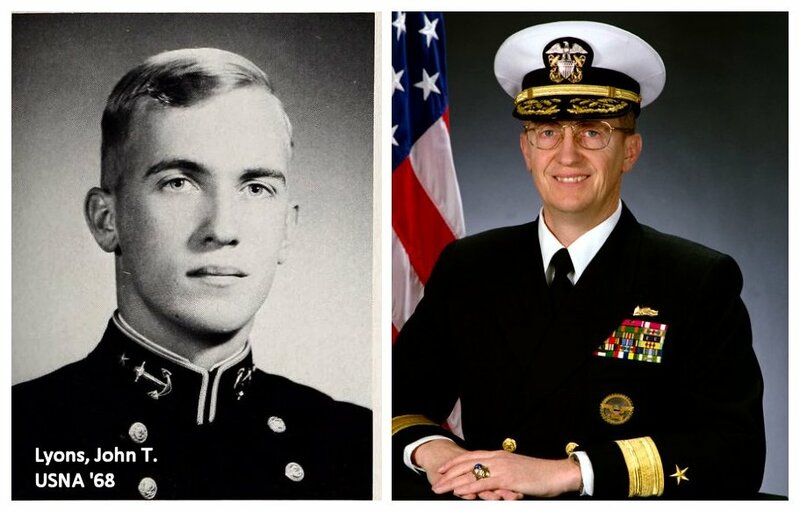 During the years prior to World War II, he served a wide variety of important posts both ashore and afloat. He took command of West Virginia (BB 48) in May 1925; became Director of Naval Intelligence in July 1926. From 1927 to 1930 he served as Chief of Staff with Battle Fleet and U.S. Fleet and on 23 May 1931 took command of Submarine Forces, U.S. Fleet. Between June 1932 and July 1933, he served as a naval member to the three-power Limitations of Arms Conference as Naval Adviser to the Geneva Delegation in Switzerland and to the American Representative at the London Naval Conference. 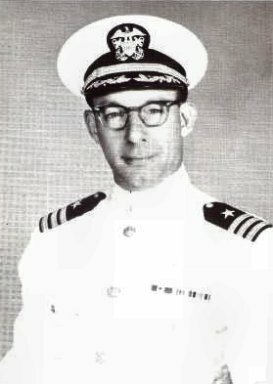 After serving as Commander 4th Naval District, and commanding destroyers of the U.S. Fleet, he became Commander-in-Chief, U.S. Fleet 24 June 1936, serving in the rank of Admiral. Two years later he headed a board which reviewed America's national defense structure during the deteriorating international situation. 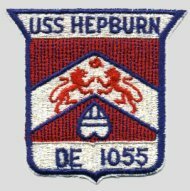 The "Hepburn Board Report" was the basis for the massive Shore Establishment expansion that took place prior to World War II. 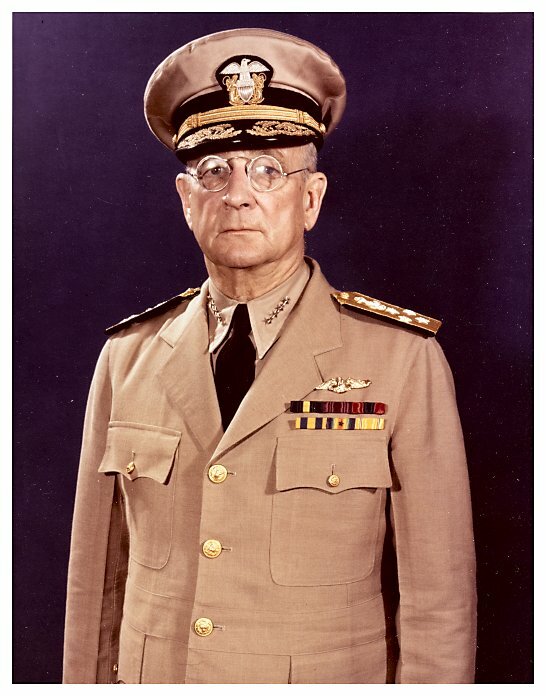 In 1942, Admiral Hepburn was appointed Chairman of the General Board of the Navy, serving in that capacity throughout the war. He also served as a delegate to the Dumbarton Oaks meetings, which established guidelines for founding the United Nations. Admiral Hepburn retired from active duty 10 December 1945, and died 31 May 1964. 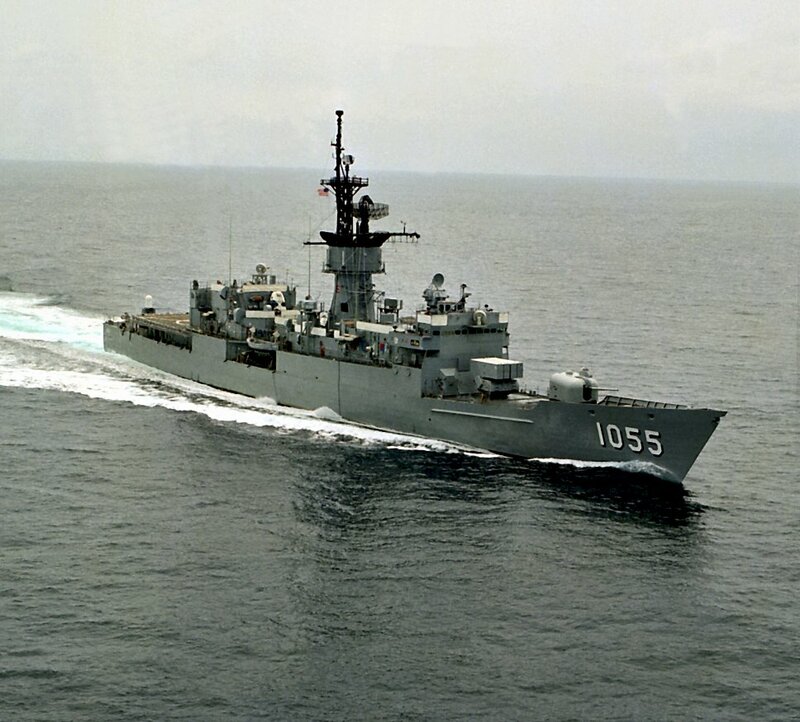 USS Hepburn (DE 1055) (1969-1991) was the first ship to be named in his honor. 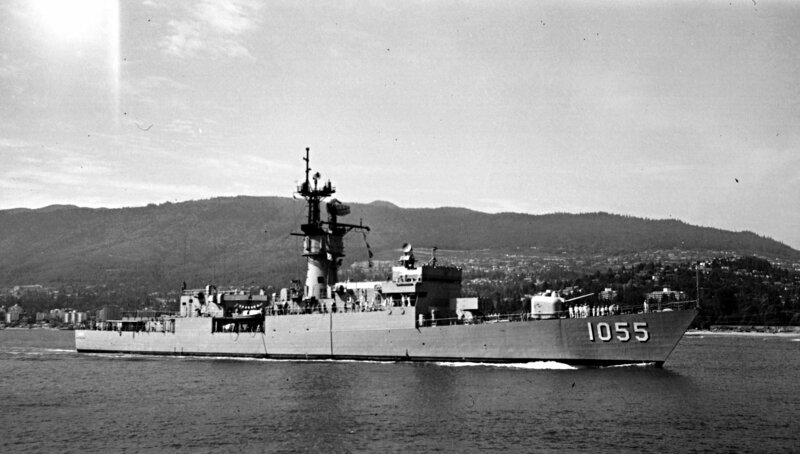 368k 08 July 1970: Vancouver, British Columbia, Canada - USS Hepburn (DE 1055) underway off Vancouver. 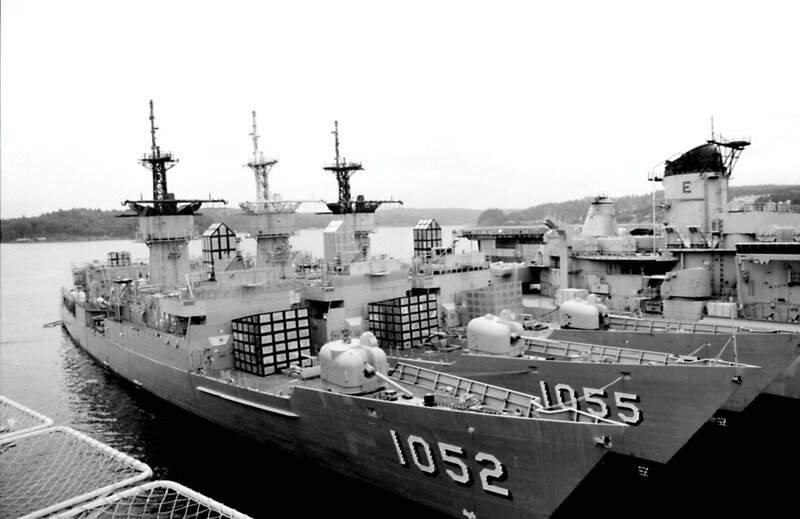 200k 28 August 1981: Naval Station Subic Bay, Luzon, the Philippines - A view of the docked ships including the guided missile destroyer USS Berkeley (DDG 15), the frigate USS Hepburn (FF 1055), the oiler USNS Hassayampa (T-AO 145), the guided missile cruiser USS Sterett (CG 31) and the guided missile destroyer USS Henry B. Wilson (DDG 7). 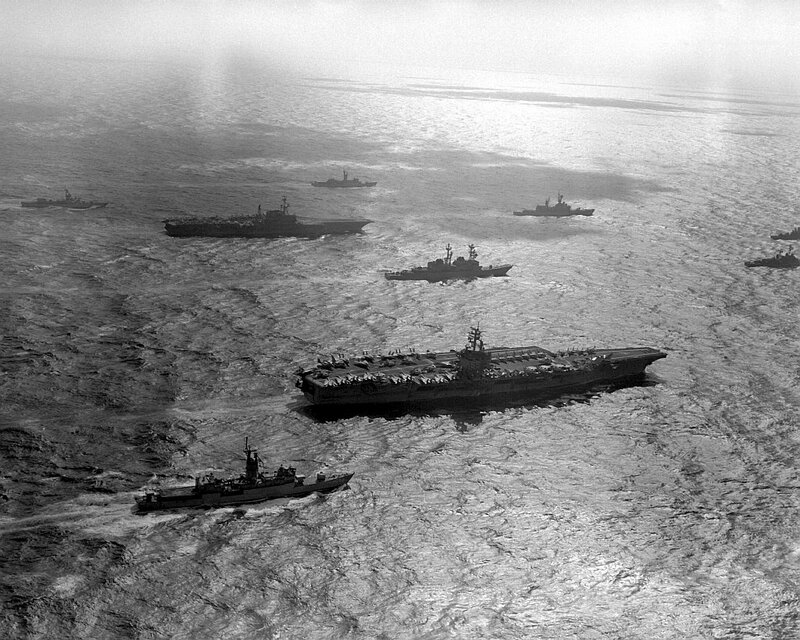 171k October 1982: At sea, the Pacific Ocean - Aerial starboard side view of the nuclear-powered aircraft carrier USS Enterprise (CVN 65) and the aircraft carrier USS Midway (CV 41), background, underway with their task groups. Hepburn is underway in the foreground. 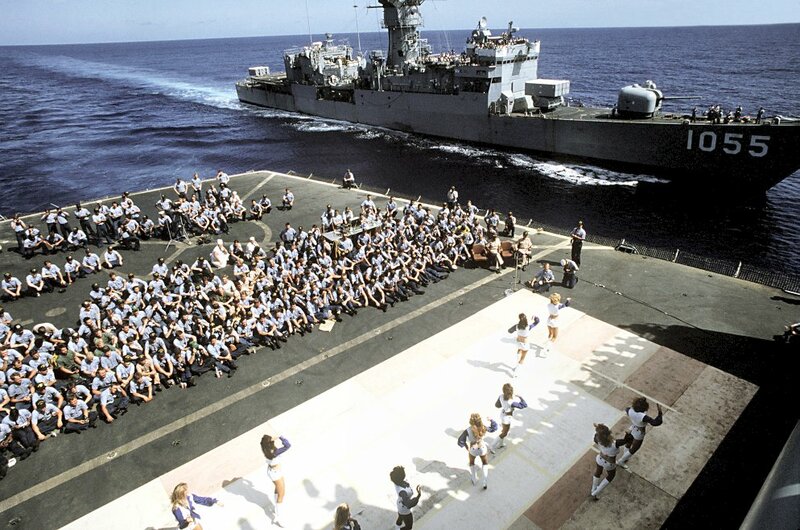 171k 01 January 1983: At sea - The Dallas Cowboy Cheerleaders perform their USO show "America and Her Music" on the deck of the fast combat support ship USS Sacramento (AOE 1). 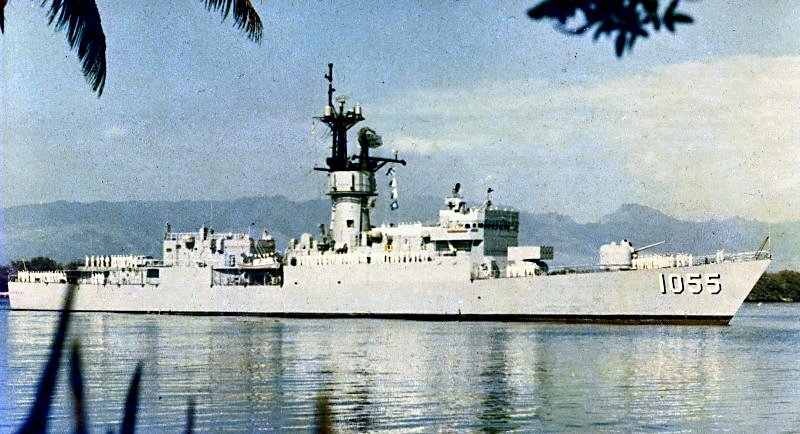 Hepburn maneuvers off the port side of Sacramento. 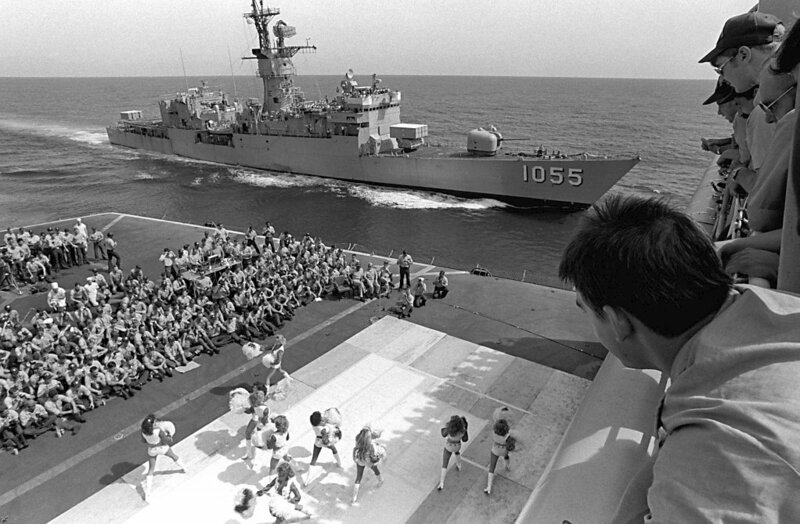 200k 01 January 1983: At sea - The Dallas Cowboy Cheerleaders perform their USO show "America and Her Music" on the deck of the fast combat support ship USS Sacramento (AOE 1). 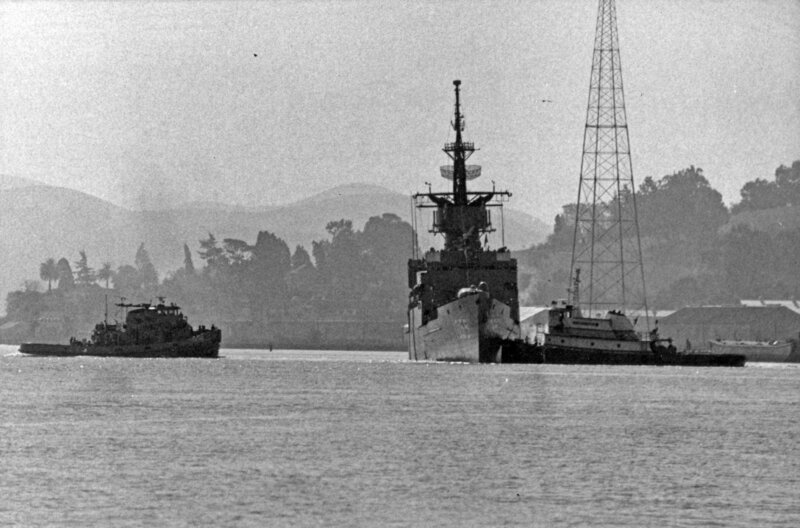 Hepburn maneuvers off Sacramento's port side. 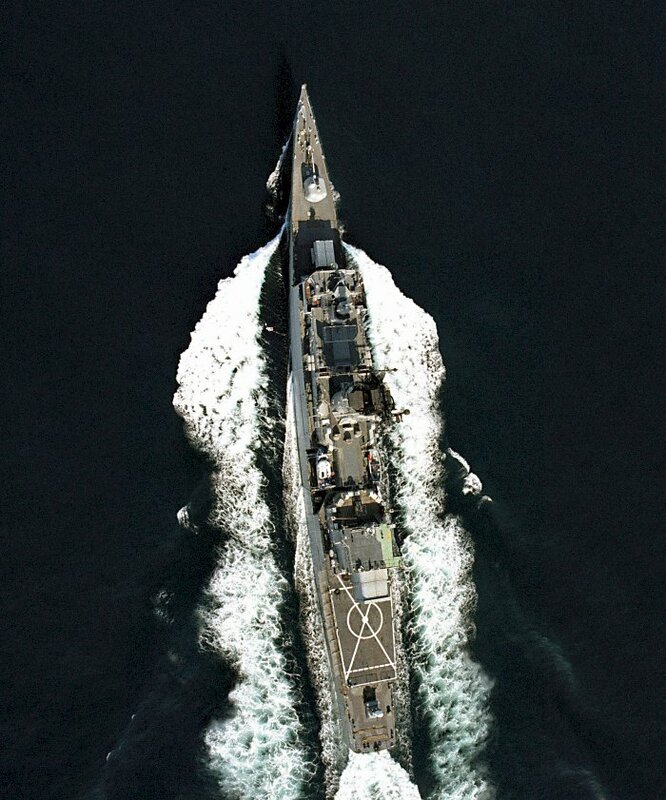 159k 06 January 1984: At sea - An aerial bow view of Hepburn underway. 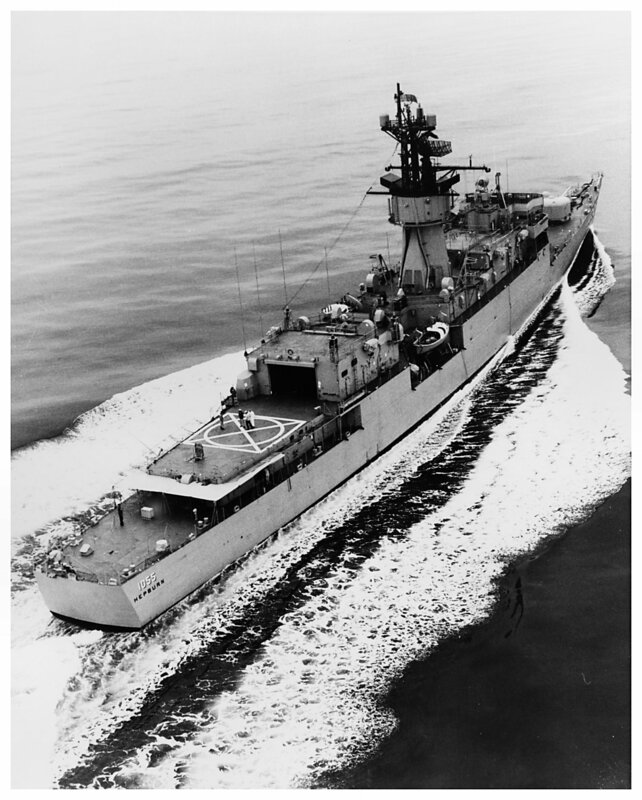 222k 06 January 1984: At sea - An aerial port beam view of Hepburn underway. 143k 06 January 1984: At sea - A vertical view of Hepburn underway. 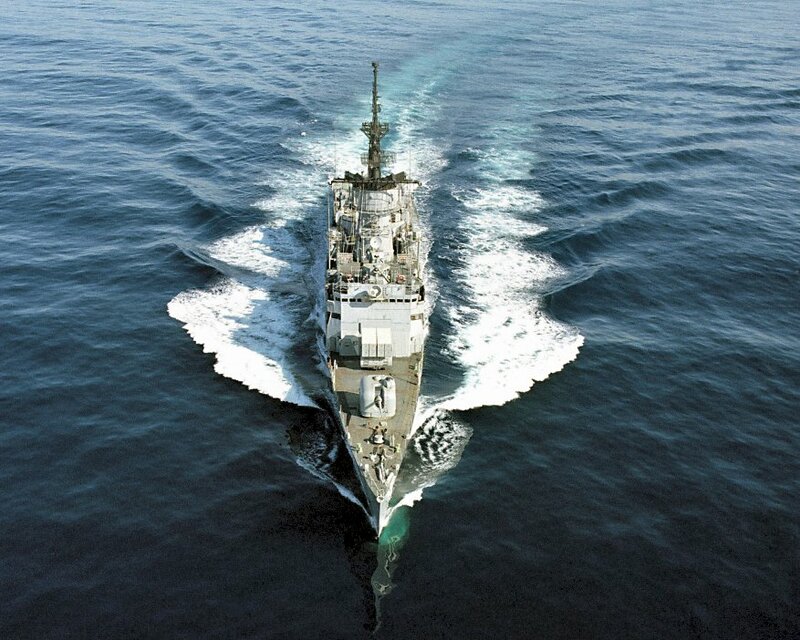 240k 02 June 1986: At sea - An aerial starboard bow view of Hepburn underway. 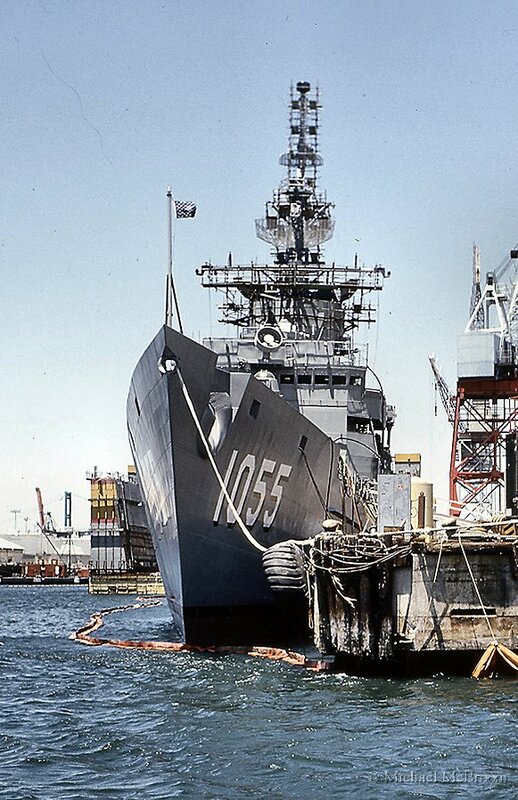 148k 02 June 1986: At sea - A starboard quarter view of Hepburn underway. 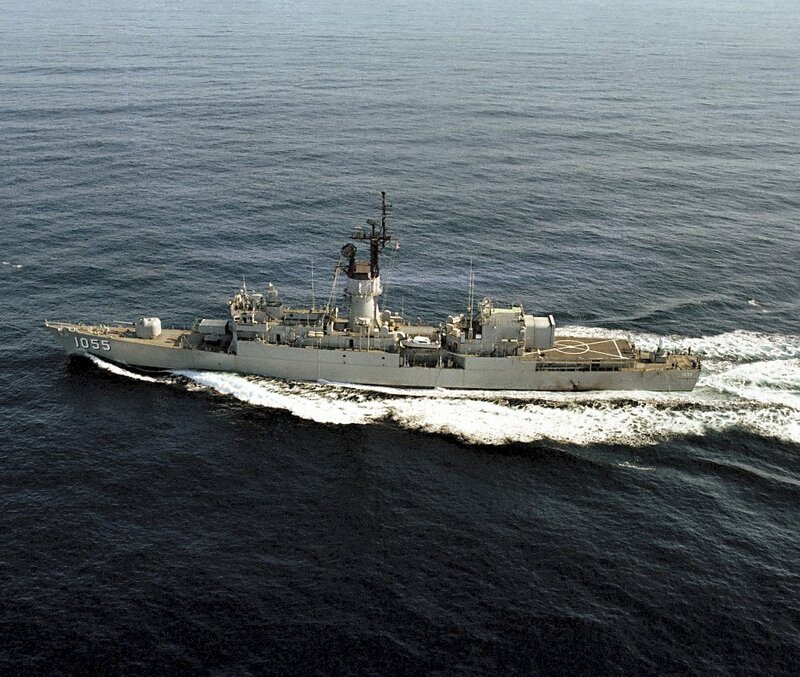 198k 02 June 1986: At sea - An aerial starboard quarter / stern view of Hepburn underway. 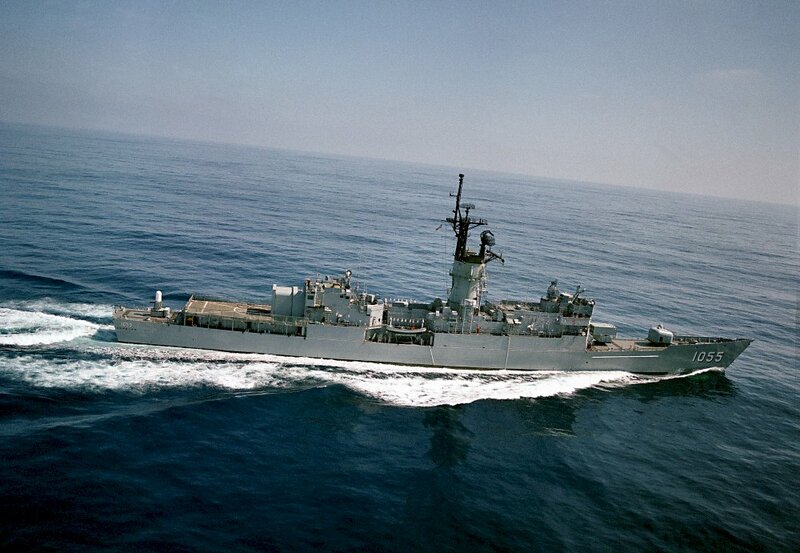 153k 02 June 1986: At sea - A starboard bow view of Hepburn underway. 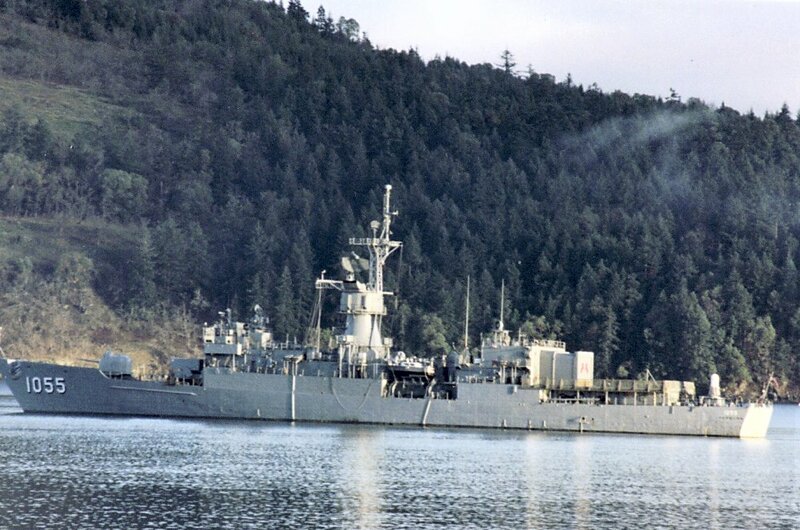 263k 15 October 1986: Vallejo, Cal. 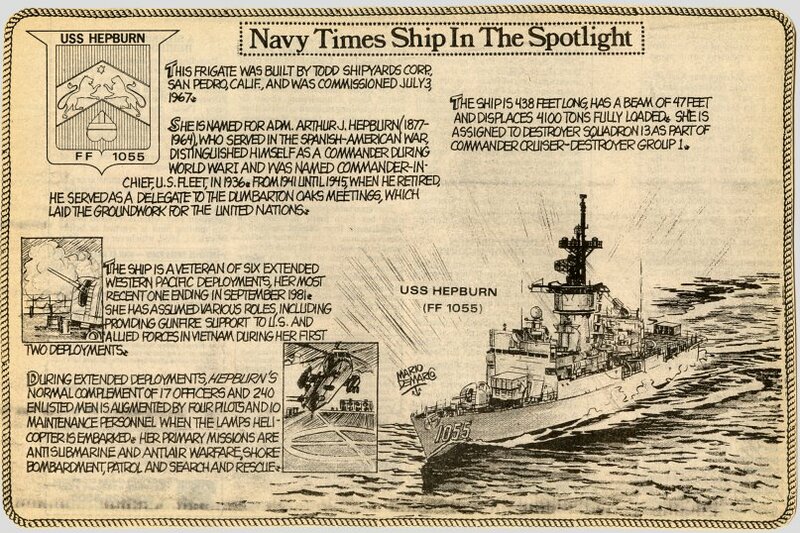 - Hepburn departing Mare Island. 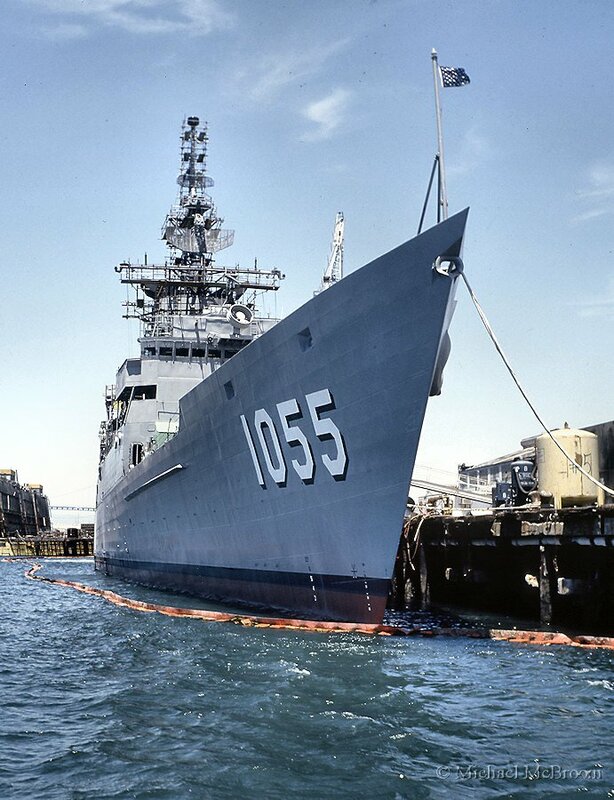 She was in the San Francisco Bay area for Fleet Week. 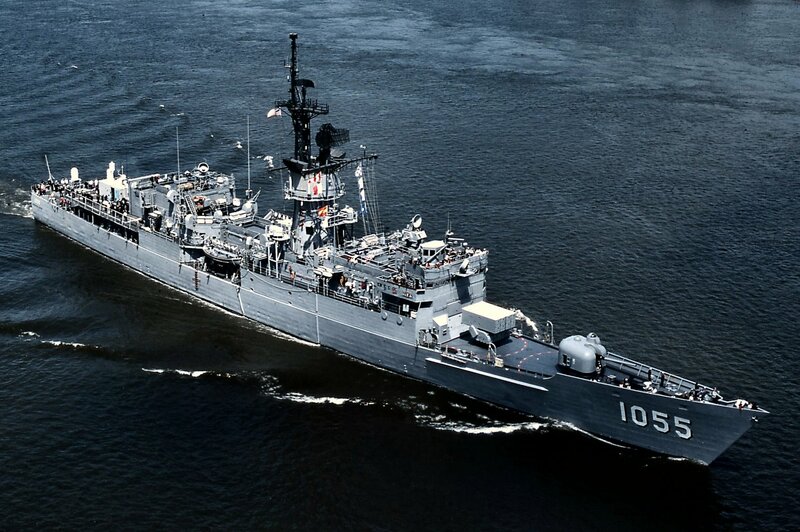 419k 08 June 1989: near Portland, Ore. - Hepburn underway on the Columbia River. 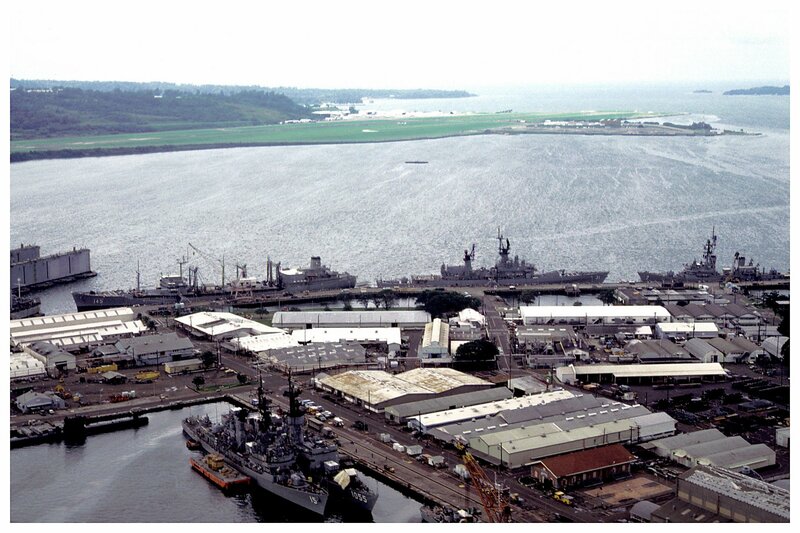 173k August 1989: Nanoose Torpedo Test Range - The Nanoose Torpedo Testing Range is maintained and operated by the Naval Undersea Warfare Center Division Keyport (NUWCDIVKP). The range is a joint US-Canadian facility located in the Strait of Georgia on the eastern side of Vancouver Island, Vancouver, British Columbia. 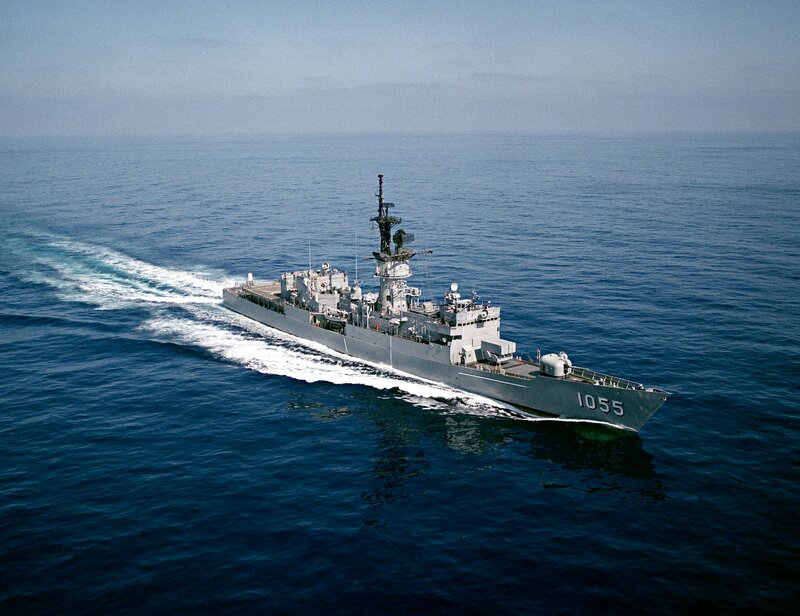 707k 01 October 1989: The Pacific Ocean - A starboard bow view of the frigate USS Hepburn (FF 1055) underway off the coast of California. 152k 01 October 1989: At sea - A starboard beam view of Hepburn underway off the coast of California. 164k 1990: San Pedro, Cal. - Taken while on a harbor cruise. 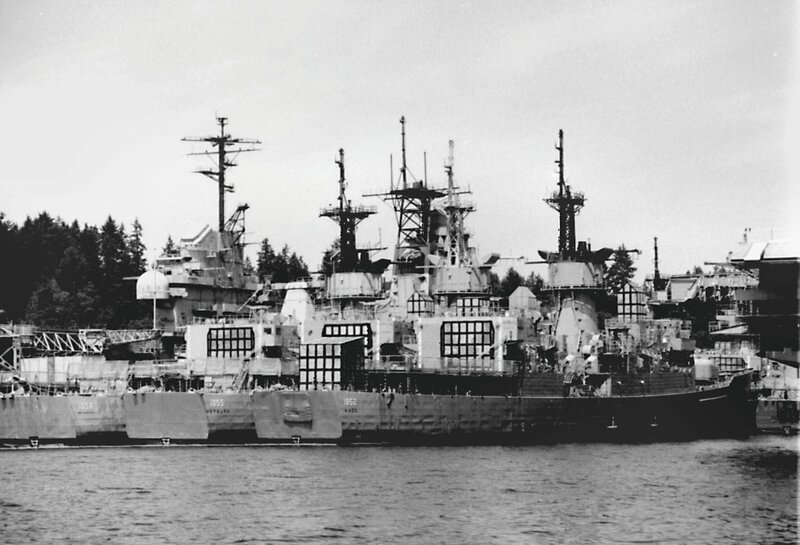 258k 27 July 1996: Naval Inactive ship Maintence Facility, Bremerton, Wash. - Meyerkord (FF 1058), Hepburn and Knox (FF 1052) in mothballs, nested at the Puget Sound Naval Shipyard. 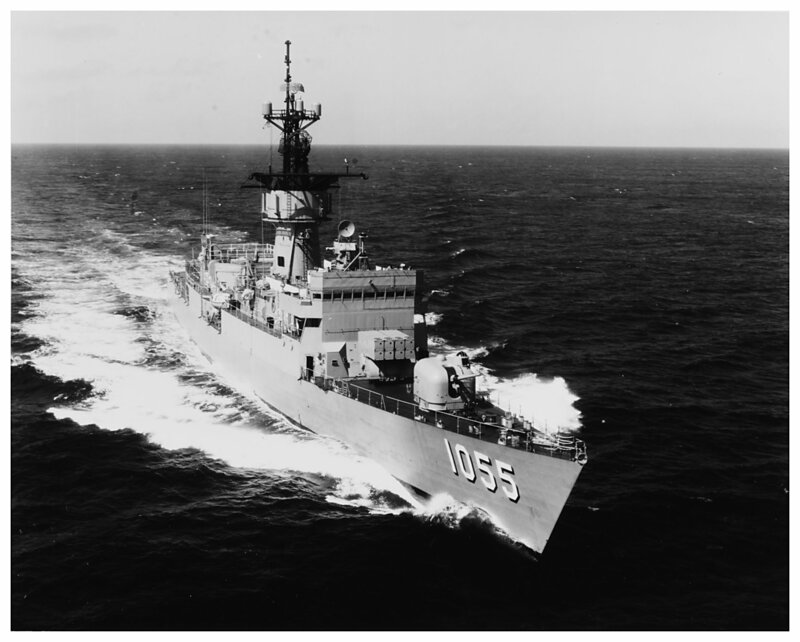 View the USS Hepburn (DE 1055) DANFS history entry located on the Naval History and Heritage Command web site. 5.) 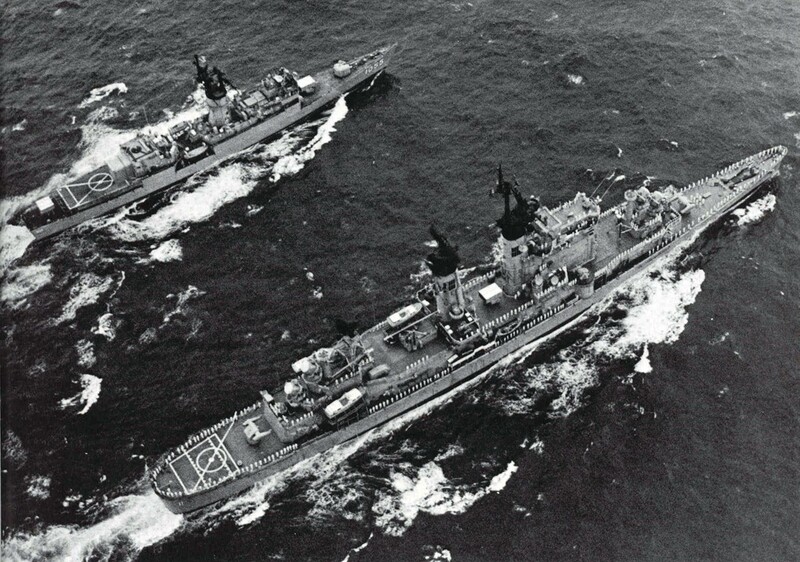 30 May 1975 - 04 Feb. 1977 Cmdr. George William Culberson, Jr. 6.) 04 Feb. 1977 - 08 Jan. 1980 Cmdr. James Clarke Richardson, Jr. 8.) 20 Mar. 1982 - 23 Jun. 1984 Cmdr. Harry James Miller, Jr.